As someone in a creative role, I’m always keeping an eye out for things that inspire new ideas. 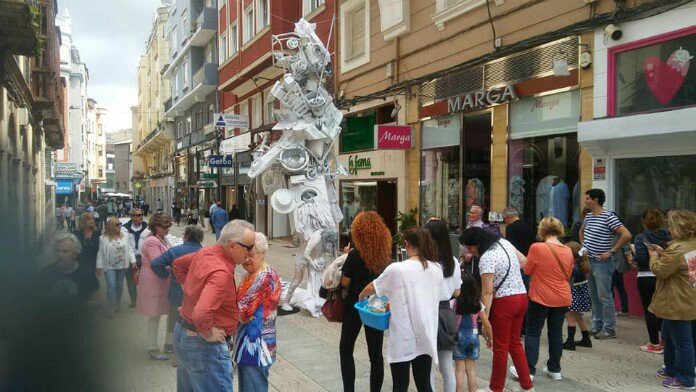 Today, I found out about a sculpture that was displayed for just one week on a street in Spain. 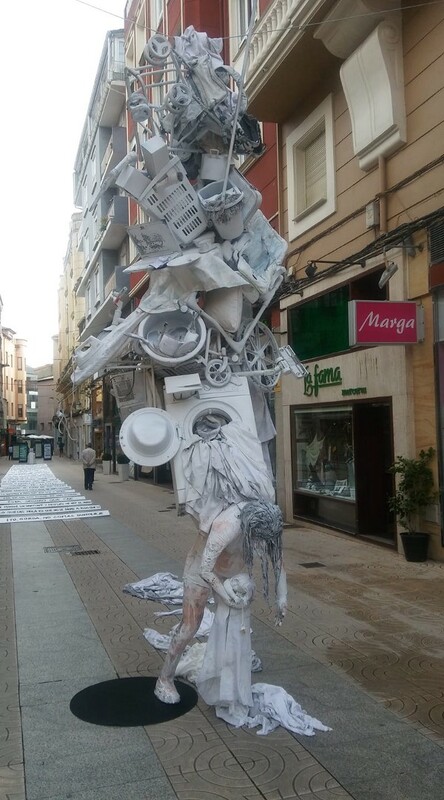 Titled, “A Mother’s Love” and part of a project called Deconstruction, its aim was to raise awareness of the importance of gender equality and the fair distribution of tasks within the family unit. It visualises a burden that we otherwise wouldn’t see. The genius about this piece — whether you agree about the state of equality in the family unit or not — is that each piece on the mother’s back is easily understandable. They’re all objects that a parent directly interfaces with in daily life. Most people own most of these items, so everyone can relate when they see it piled up on the mother’s back. It really makes you step back and think about the overwhelming burden a parent carries; even more so if you consider those who are separated and looking after children by themselves. This made me wonder, what would it look like to create something about the burdens young people carry? Teenagers undergo so much pressure throughout the various transitions they have to face: primary and secondary school; child and adolescent; innocent to guilty; but a lot of the pressures are fairly intangible. These are just a few things I could think of and certainly not unique to the current generation of teenagers, but you can already see some contradictions and tensions from one message to the next. Highlighting these tensions can help us understand where the conflicts are within our culture and do something to help teenagers decide where they stand. Adults have enough problems of our own to think about, but art like “A Mother’s Love” can stop us in our tracks and at least make us consider what we might do differently towards someone under the burden of teenage life. We need to explore the potential here, as history tells us that art can be a powerful proponent of change. We need to empower an army of adults to reach out, welcome young people with open arms and support them on their journey. Art has a role to play in recruiting that army. If you could make anything, what would YOU create to make people think about the burdens young people carry?